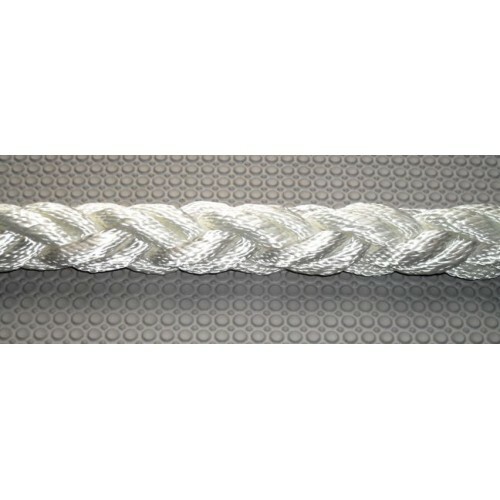 Nylon 8 Braid Anchor rope. 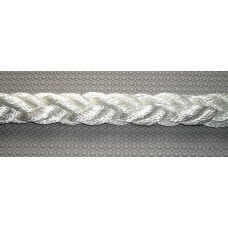 Square Braid is a common name for this braid as the 8 braid construction gives almost square finish leading to higher grip loads in anchor winches. Also called braided, multi-plait and a few other names. This one is the most popular one in Australasia by a significantly large amount. Why? Because we have both the knowledge and in use experience to design a rope that just keeps on going. 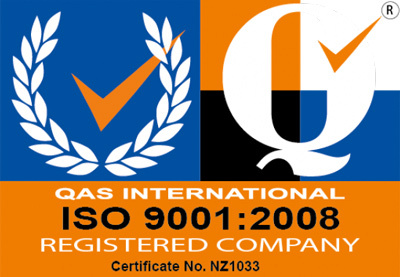 We don't target the cheapest price we target lifetime cost combined with performance. 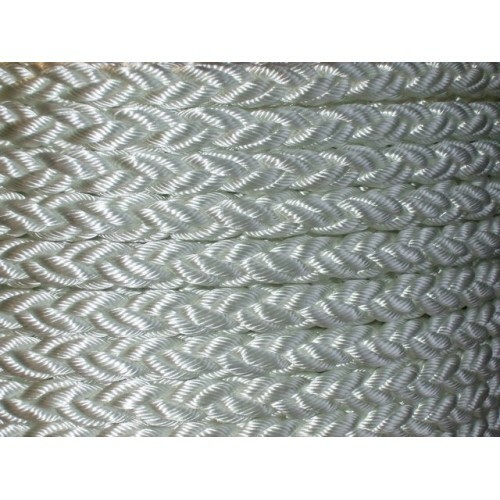 With that in mind this rope is made fro the same very high grade material they also use in car airbags. Most copies are lower grade Nylon, some use reject yarn from the clothing industry. That means this particular rope may look like many (most of which fade away quick as they stop working fast) others over 15 years in real life use on 1000's of boats means it's proven itself. 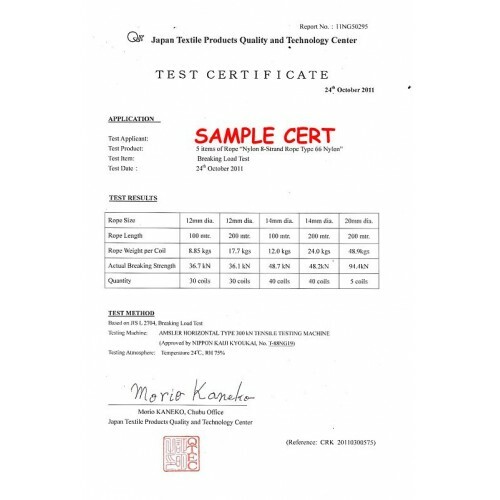 This version is fully Q-Tech Certified as to it's construction, the high quality of material used and the higher than usual break load. No other rope has this of the goodness that comes from it.